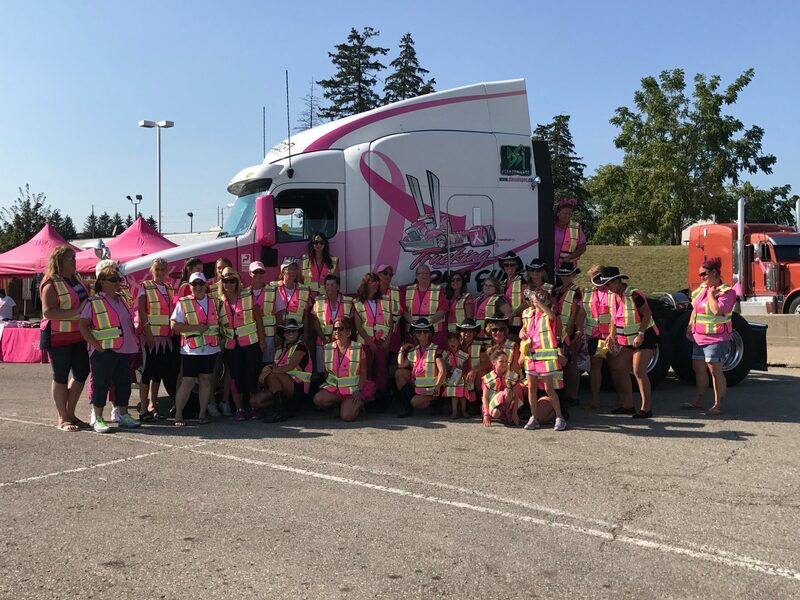 With the recent acquisition of Peterbilt of Ontario, Cervus Equipment is proud to continue supporting Joanne, her cause and the Ontario chapter of the Canadian Breast Cancer Foundation. Joanne’s strength and resilience along with her dedication to helping others embodies the essence of People. Power. ServiceTM—which is what we live by. We are, and will continue to be, a Pink Ribbon sponsor of Trucking for a Cure, because we believe in standing behind our local communities and their initiatives. We’re thrilled to have the opportunity to be part of this great event and look forward to helping ‘turn the transportation industry pink’ this October. Cervus Equipment was founded in 2000 as a group of five John Deere dealerships in Alberta. Since then, we’ve grown to 69 dealerships representing four major industry sectors: construction, materials handling, agricultural, and transportation. We’ve expanded our presence across Canada, Australia and New Zealand. We partner with the most trusted brands in the market, like Peterbilt, Bobcat, JCB, John Deere, Clark and Sellick. Our collective vision, sharply focused mission and uncompromising set of values will ensure the success of all our people, starting with our customers.